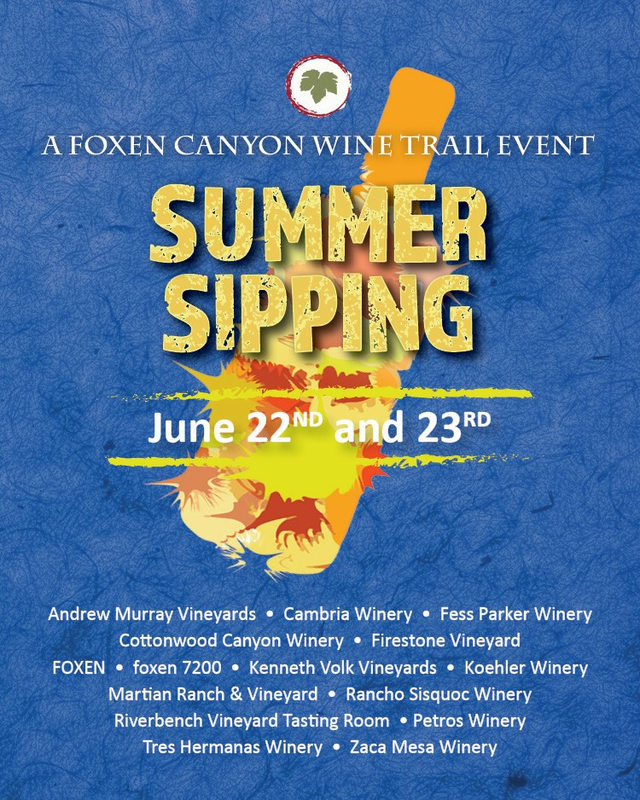 After you pick up your passport and awesome swag bag at your check in winery or hotel, the weekend is yours to explore the Foxen Canyon Wine Trail and spend your 20, 1 oz pours of wine as your choose at our 14 wineries! Local artisan chocolates, cheeses and baked goods are served on Saturday. Return Sunday for live music, Library tastings, barrel tastings and so much more! Summer Sipping Passports are $45. Reserve yours online until Friday, June 21 or until sold out. 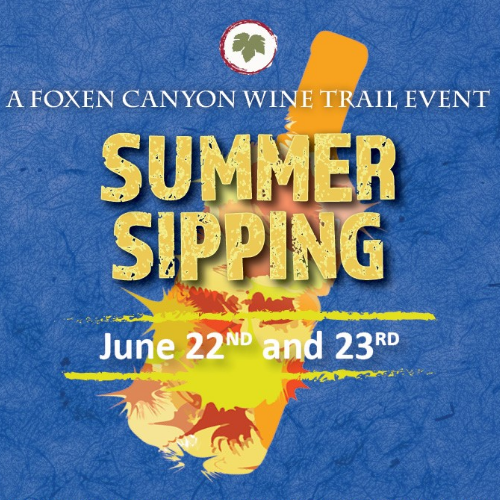 Get 20, 1oz samples of wine for you to “spend” as you see fit at our 14 wineries and tasting rooms on the Foxen Canyon Wine Trail. SNACK SATURDAY – When you politely flash your passport at each winery you visit, you’ll be rewarded with a snack to go with your 1oz pour. Anticipate goodies like two handmade truffles from Santa Barbara chocolatier Jessica Foster; something sinfully delicious from a local, family-owned bakery; One Perfect Taco from the taco truck no one can ever remember the name of and so much more. Our partnering hotels are offering special rates for stays between Thursday, June 20 through Tuesday, June 25 when you mention Summer Sipping when booking. Scroll down for more details - they are listed south to north. We’ve worked with the Radisson Hotel Santa Maria (northern-end) and the Hampton Inn & Suites in Buellton (southern-end) to bring you Start & Stay! The huge benefit of a Start & Stay ticket is it allows you to pick up your Summer Sipping passport and swag bag at the hotel concierge instead of a designated Check In Winery. You’re free to start your Summer Sipping weekend at whichever winery you want! When you purchase a Start & Stay Ticket, you will only be charged for your passport. After reserving your passport, you'll need to make your hotel reservation. You can either return to this page and click on the hotel link below or wait for an email from Elizabeth that will have the links in it. Either way, THESE START & STAY TICKETS ARE LIMITED! Get 'em while they're here, folks. Radisson Hotel Santa Maria 3455 Skyway Dr. Santa Maria 93455 Special Rate: $169 plus tax - includes a full buffet breakfast! $169 +tax includes two full buffet breakfasts! Purchase your "START & STAY RADISSON HOTEL SANTA MARIA" ticket(s) first to reserve your Summer Sipping passport(s) then book your hotel reservation by clicking here and using promo code SUMMER or call (805) 928-8000 and mention Summer Sipping. Hampton Inn & Suites by Hilton (805) 686-1555 600 McMurray Road Buellton 93427 Special Rate: Friday and Saturday: $199 + tax; Sunday and Monday: $145 + tax Purchase your "START & STAY HAMPTON INN & SUITES BUELLTON" ticket(s) first to reserve your passport(s) then book your hotel reservation! Best Western Plus Big America 1725 N. Broadway Santa Maria 93454 Summer Sipping Rates: Choose between $150 for King room or $155 for 2 Queens plus tax. Call (805) 922-5200 or click here to make your reservation. Radisson Hotel Santa Maria 3455 Skyway Dr. Santa Maria 93455 Special Rate: $169 plus tax and includes two full buffet breakfasts! To make your reservation, click here and use promo code SUMMER or call (805) 928-8000 and mention Summer Sipping. Hampton Inn & Suites by Hilton (805) 686-1555 600 McMurray Road Buellton 93427 Special Rate: Friday and Saturday: $199 + tax; Sunday and Monday: $145 + tax Click here to book your reservation! Because the Foxen Canyon Wine Trail is 30 miles long, we simply aren't able to offer transportation. But we've attached a list of recommended local transportation companies for you. Your $45 Summer Sipping Passport = 20 1oz pours of wine from world-class, highly-rated and well-regarded wineries, different snacks at EVERY winery on Saturday, live music, access to ultra-rare wines that are guaranteed to impress those friends at your next dinner party, Dior, Dahling, psychics, tacos (! ), bigger mystery swag, hyper-local lip balm from Foxen Canyon Soap Co. commissioned just for you that comes in a very cool slide-top, eco tin. Include exclusive discounts on wine purchases and hotels stays, and I’m thinking we really need to re-evaluate the price next year. What Wineries are Part of Summer Sipping 2019? 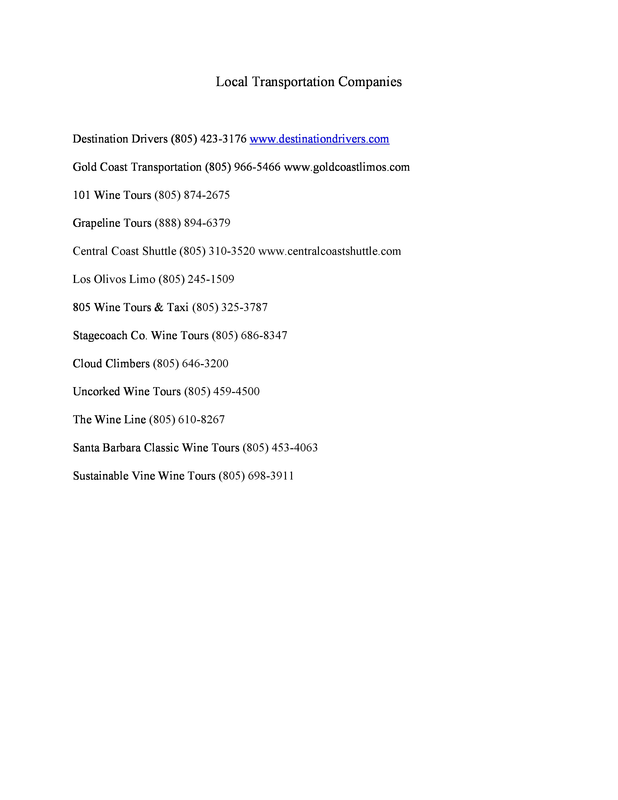 For more info on these wineries, visit our website: Foxen Canyon Wine Trail. Email Elizabeth and she'll get back to you as soon as she can. We are unable to issue any refunds after June 14th, 2019. Please contact us before then with any refund requests. If your group is 6 or more people, please call the tasting rooms you plan to visit and make a reservation. Some of us have pretty limited space and if we know to expect you, we'll do all we can to make room. Also, it's illegal to consume or even have an open container of alcohol that wasn't made by the winery you are currently tasting at. So please don't bring any beer or wine into a tasting room with you. And smoking or vaping isn't allowed at or near any of the tasting rooms. Remember that big fire we? No one really wants to repeat that.